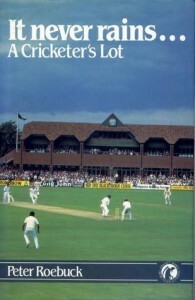 In 1983, Peter Roebuck kept a diary of his year with Somerset in domestic cricket. With his death in controversial circumstances last November, It Never Rains… A Cricketer’s Lot has become increasingly hard to find. Written by a man who, by all accounts, was something of a difficult enigma, this is generally acknowledged to be his most honest and revealing book. Cricketers’ diaries are ten a penny now, mostly consisting of ghost-written and vacuous PR speak that pay mere lip-service to revealing what goes on behind the heady heights of international success or the often-misleading glamour of a sportsman’s life. The most notable break from this trend recently has been from the pen of Tasmanian cricketer (and now Australian opening batsman) Ed Cowan, and the direct and revealing honesty with which he writes of the fears and insecurities that can bedevil a professional sportsman is perhaps not so surprising given Roebuck was Cowan’s mentor. I was never the biggest fan of Peter Roebuck’s cricket reporting. 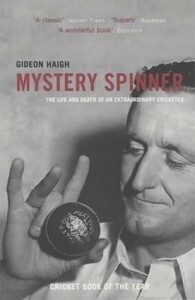 Most of it seemed skewed either by the grudge he bore against England after leaving the country in the wake of his conviction for caning three young South African cricketers, or controversial rabble-rousing, often for the sake of effect – a suspicion confirmed upon reading that he liked to draw up a list of ten contentious statements which he would then try to shoehorn into whichever article he happened to be writing that day. The apex (or nadir) of this journalistic approach came when he called for Ricky Ponting to be sacked as captain of Australia after the ill-spirited Sydney test against India in 2008. Shrill, bombastic and completely over-the-top, it came across initially as a reaction to be filed in the “knee-jerk violent enough to cause tendon damage” category, but there also remained the suspicion of cynical provocation. “Sacking the captain was the only story remotely dramatic enough to bring everything out into the open,” he wrote later, a statement which did little to disabuse me of this notion. The start of the 1983 season was, like the current one, ruined by rain, with the inevitable introspection that comes with much sitting around, waiting for play to be called off for the day or the match to be abandoned. Most of the concerns that cricketers fretted over then were the the same as they are now, and despite the eighties trappings of Austin Maestros, John Cleese and gammon and chips (no Nando’s in those day) there was still too much cricket, too much travel, burnout by season’s end, fretting over form and weather, the difficulty of having to adapt one’s game from a limited overs match one day to the resumption of the Championship on the next. Not much changes. 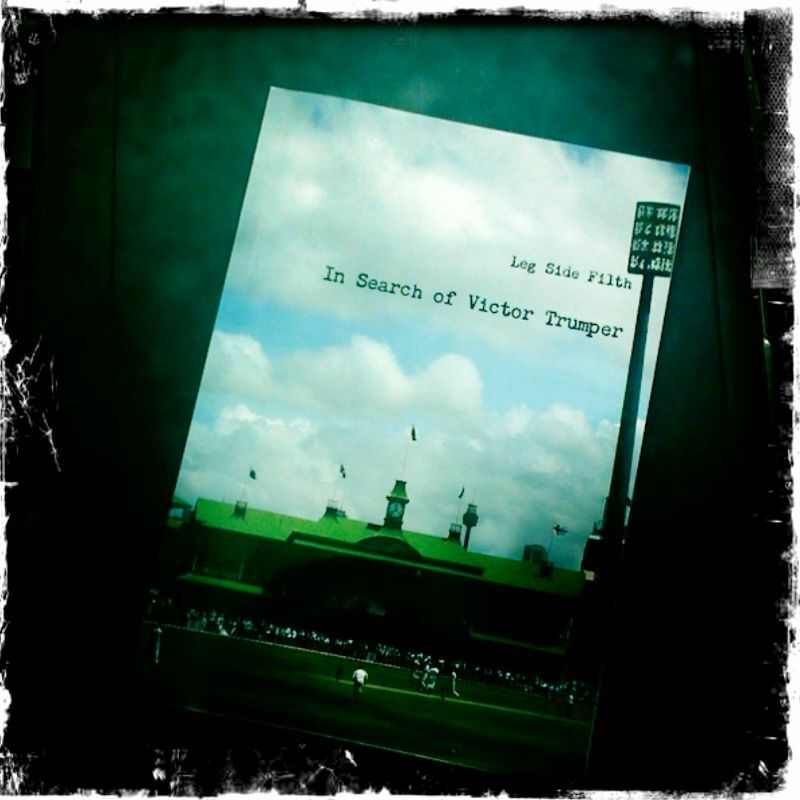 The glimpses of Somerset’s two big galacticos in those days, Ian Botham and Viv Richards, are fascinating when seen through Roebuck’s eyes, especially in light of the internecine warfare that was to tear the club apart three years later. Richards, especially, is portrayed as a force of nature, a man deeply admired but also to be regarded with respectful wariness: “I can remember the day in 1978, after our defeats in September, when he went into the bathroom and in his despair smashed his bat to pieces. You don’t meddle with people like that.” When Richards commiserates with Roebuck on his lack of runs, Roebuck is almost abjectly grateful for the concern, like someone finding himself sharing a cage with a man-eating lion that’s decided not to rip his face off. Roebuck had his demons. He had friends, who, during those black dog days of August in 1983, helped him beat them back for a time, but, in the light of the way he met his end, and the allegations that followed, there was no-one, it seemed, who really knew or understood him. He certainly seems not to have made it easy for people to get close to him. And there’s the rub – reconciling the openness with which he wrote his 1983 diary and the controversy that dogged him until his death and which still surrounds him. They say never speak ill of the dead. My experience in the funeral business has taught me the implications that often lurk beneath the euphemisms when it comes to remembering the deceased. “Straight talking”: boorishly opinionated. “Would give you his last penny”: easily taken advantage of. “Life and soul of the party”: raging alcoholic. I’ll admit the gushing eulogies that appeared after Roebuck’s death, and in most cases the complete airbrushing out of the controversial events in his past, made me uneasy. One blog that did venture another view reeked offensively of homophobia – and that just made me angry. What troubled me was that even-handedness, a picture of the whole man, seemed in very short supply; it seemed easier to fall back on those timeworn cliches: “troubled”, “conflicted,” “complex”, “tormented”. “He did not crave partners on an equal footing but followers,” wrote Derek Pringle. Perhaps, in his struggle with his sexuality, he found a refuge and ordering of his inner chaos within the strictly defined frameworks of mentor and pupil, master and apprentice, and in his role of father-figure to adopted African “sons”. But abuse of authority is abuse, regardless of gender or sexuality, and it is this need for control that seems to have been inextricably bound up with his sexuality, and which at times seems to have made others do what they would rather not do, that does not sit easily with me. When he threw himself from the sixth floor of a South African hotel on the evening of November 12th, 2011, it would seem that this fear of exposure extended to his life off the cricket field as well.